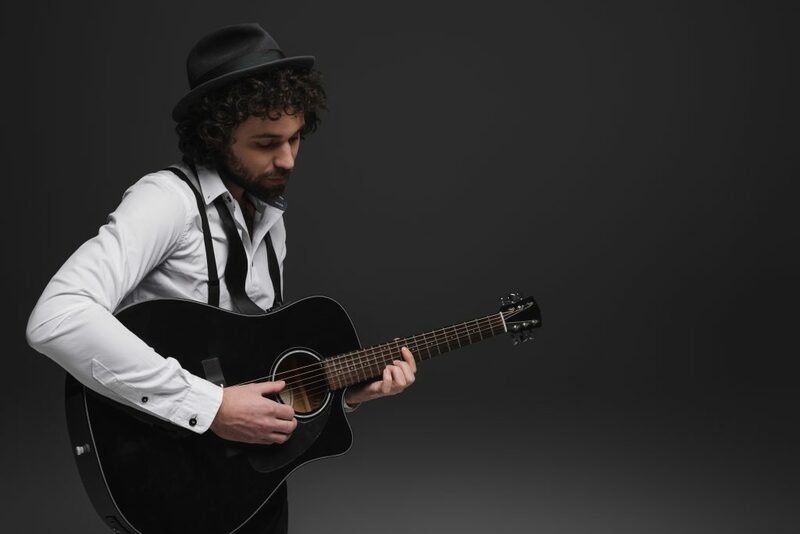 Wondering how to amplify the sound on your acoustic guitar? 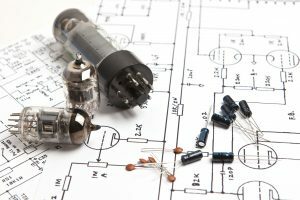 To enhance the basic sound of your guitar you’ll need a pedal with good effects. The effects you must look for include a compressor and EQ, to mention a few. For a beginner must have pedals for acoustic guitar should be easy to operate, without a huge learning curve. Also, you’ll find these pedals are loaded with a number of features. And more often than not this will impact the price. Make sure you pick one with the features you need, as well as one that comes at an affordable price. Each pedal will produce a different sound effect from fuzz to tremolo. 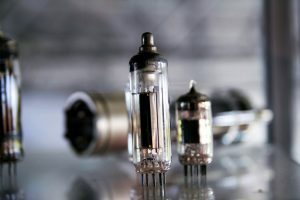 It’s important to know what sound you’re looking for before investing in the pedal, so buy the correct one that aligns with your playing preferences. Looking for the right one can be pretty confusing. That’s why we put together a couple of recommendations for you. Hopefully there’s one that matches your needs. 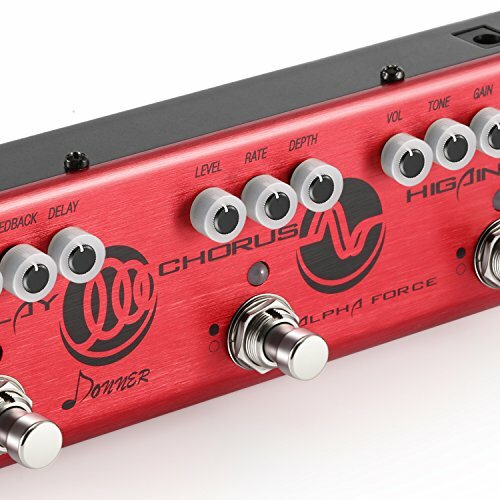 This versatile effects-chain combines three different types of effects in one unit plus it features an analog circuit design. 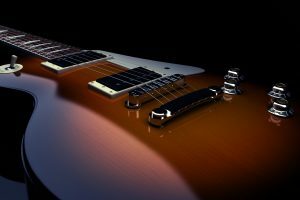 With this model you can play all sorts of genres from rock to metal. The effects will give you the precise tone you want. The delay knob is designed to control the delay effect level. When in delay mode the pedal produces an analog voiced delay which has rich echo feedback. It has a maximum delay time of 1000ms. 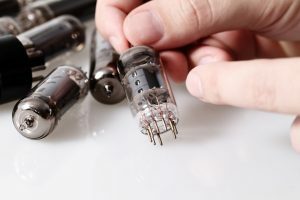 As the name suggests, the chorus knob will control the effect level of the chorus. 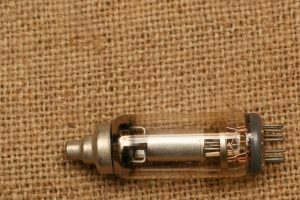 When set to this model the pedal provides a warm and pure sound creating an amazing chorus sound. The distortion knob will control the distortion effect levels that are produced. With the distortion medal you get a high gain British amp distortion which is ideal for the classic rock style. It’s ideal for both rehearsals as well as small live gigs. The portable size makes it easy to handle. You can use it at home or carry it elsewhere because of its convenient size. Though small it’s very sturdy. It features a user friendly design for easier operation. It’s housed in a full metal shell to ensure durability. The shell is made of classic aluminum alloy which is both stable and strong. You’ll always know the working state of the pedal thanks to the LED indicator. The true bypass feature allows for zero tone coloration. It lets your pedal’s signal pass through any non-electronic bypass line. Included in the package is the DC 9V power supply. Also, you’ll find an input and output jack: ¼” mono audio jack to be specific. Overall, we’d highly recommend it for the beginner guitarist especially if you don’t have an effects board. Plus it’s easy to use and has a great range of controls. Here we have a product designed for acoustic guitars and ultimately makes the sound brighter and clearer. It produces a pleasant warm tone and it’s pretty versatile. This pedal comes with a number of knobs so you can tweak it to get your desired tone. You can use it to control feedback and equalize. 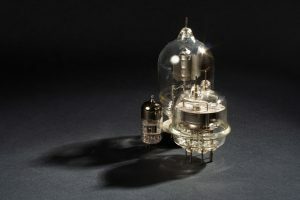 The bass knob is designed to either increase or decrease the bass at the bottom end. You can adjust the amount of treble using the treble knob. 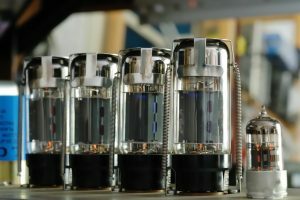 The treble boost is designed to enhance the clarity of the tone. It features an anti-feedback knob to eliminate volume feedback. The same feature also controls the degree of voice concentration. 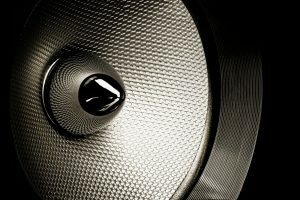 It’s very easy to get your desired sound: you can turn it to the left for the original sound. Turning it to the right will make the tone clearer. It also features an LED indicator to show the working state during use. When used with a wooden acoustic guitar, it produces a very clean tone. The pedal makes the guitar produce a more focused and melodious sound—particularly the string sound. The volume is easily adjustable by using the input knob. You’ll like that there’s no sonic boom produced even when you amplify the sound. It requires a 9V battery for operation and it utilizes 30Ma power consumption. However, note that the battery won’t last you very long. It weighs only 0.5kg, making it very portable. It comes in a mini size and the space saving design means you’ll be able to use it almost anywhere. The pedal has a general solid build. It’s housed in aluminum, making it strong and durable. Though the construction is solid, it’s not visually appealing. If looks are important to you, you might not like the design and color as it isn’t very attractive. However, if cost and performance are your priorities, you’ll appreciate the affordable price and impressive functionality. This knob is designed to last long because of its solid build. Aluminum alloy is the main material used in its construction making it a durable unit. With this pedal you can expect a warm overdrive sound. By simply rotating the knobs you can boost the guitar’s amp. 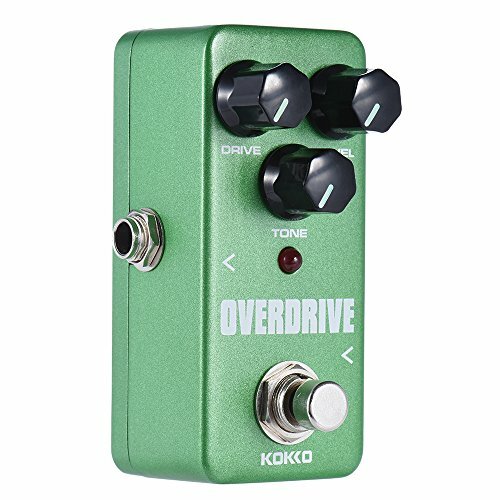 This in turn produces a colorful tone and the overdrive itself gives a unique pedal sound. 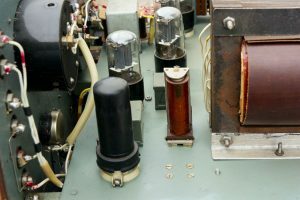 It features true bypass functionality for hardware switching. The effects status is clearly shown during use thanks to the LED indicator. To get it up and running it’s powered by an AC adapter. It has rubber pads located on the back which have anti-skid properties. As a result you’re guaranteed some degree of stability during use. Also, the same properties eliminate any friction produced between the effect pedal and the ground. Though it’s best suited for an acoustic guitar, you can also use it on an electric guitar. Just make sure you purchase a noise gate to avoid that humming and hissing sound. 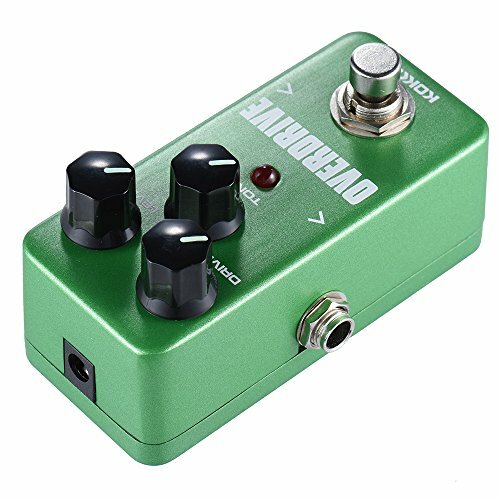 Generally, you can enjoy a quiet performance with this pedal which sounds great. The quality is high enough to use it for recordings. Even on the gain knob’s lowest setting you still get a volume boost. However, if you want a completely clean boost ability, don’t pick this product. It works much better with the overdrive sounds. It’s a very versatile unit which can be used with a variety of applications for instance the guitar, bass or keyboard. 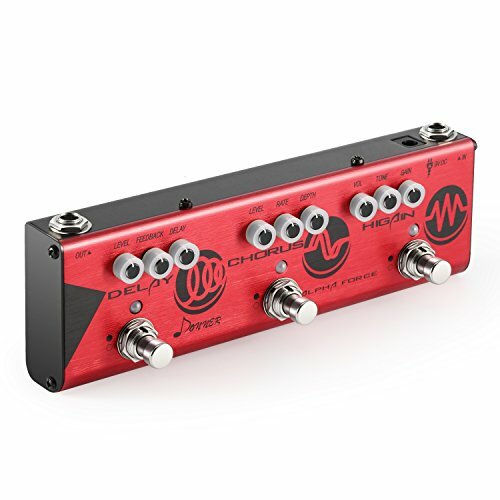 Its compact design allows it to fit perfectly on your pedal board. A beginner in guitar playing will appreciate this pedal because it’s easier to dial in. Also, it’s simple to adjust for additional drive and sustain. This pedal combines the four most important effects any guitar player needs. These include the chorus, distortion, reverb and delay. The best part is all these effects are pretty versatile and complement each other well. The built-in cabinet simulator enables you to get that sound right, especially the classic stack sound produced by a PA system. Whether you’re into rock or classic 80s music, this pedal delivers the sounds superbly. It has a maximum delay time of 500ms which isn’t bad. As powerful as it is, it’s still compact enough to fit into your pocket. This means you can carry it around with ease—anywhere. The only problem with the small size is that the knobs for adjusting the parameters are pretty close to each other. Also, the level indicator is hard to see. By simply turning on every module on the bar you’ll achieve an epic lead tone. The pedal is highly dynamic and pretty responsive to your hands. It has long sustain and will cut through the mix with ease. Like most pedals it also features an LED indicator to show the working state. You can use it for live shows; however, the location dynamics may require minor tweaking of the knobs. 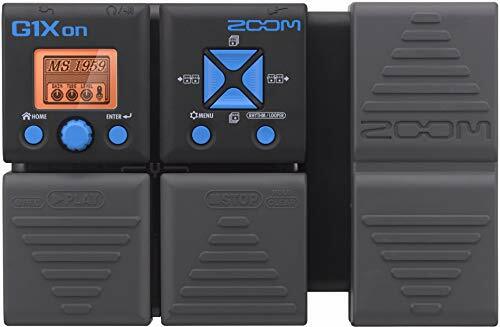 Overall, if you’re looking for a sold effects pedal system, you’ll like this model. Not only is it easy to set up but it’s easy to dial in the right tempo which is useful if you’re a beginner. Plus it has great entry level effects. 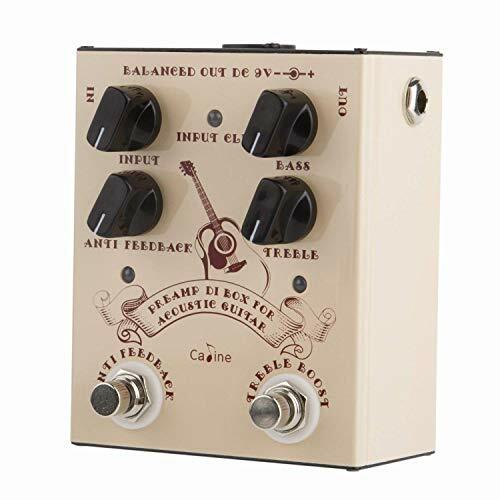 This is another of the must have pedals for acoustic guitar enthusiasts. It’s designed to enhance your performance thanks to the multi effects. It has 100 sound effects and 68 rhythm patterns. These sounding rhythms are easily accessible and they allow high quality sound production. 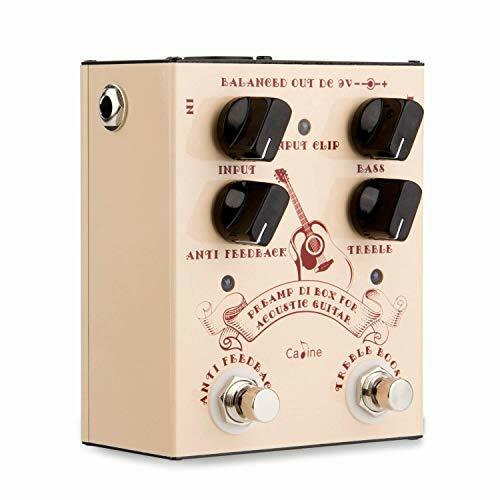 From rock to ballads, this pedal accommodates a number of genres. Included among the effects are the distortion, compression, delay, modulation and reverb. 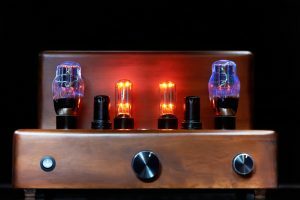 In addition it also features a variety of amp models which are realistic. 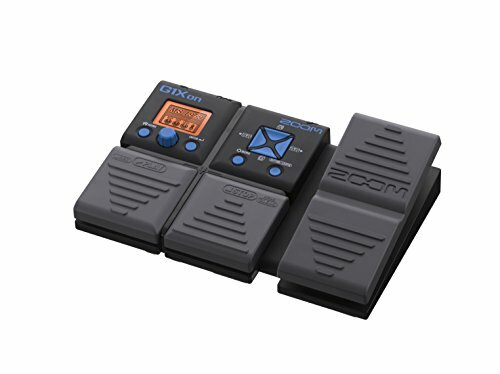 One of its main drawing cards is it features a built-in expression pedal. This pedal is ideal if you want to increase overdrive. It also allows you to change the volume as well as add filtering to your guitar. You can use up to five effects at the same time—in any order. 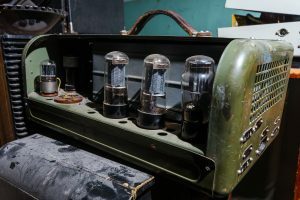 It also features a built-in chromatic tuner and looper for that enhanced sound. The tuner is readily accessible and it shows you if the note you’re playing is sharp or flat. The looper allows you to explore your inner creativity to the fullest. You can layer up to approximately 30 seconds of performance via the effects you prefer. It can also be used together with the rhythm accompaniments as you play along. The pedal has separate input jacks to connect your guitar. You can also use them to connect your personal music player. 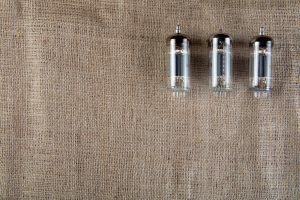 The output jack can be used with either headphones or an amplifier depending on your preference. It runs on batteries although it comes with an optional AC adapter. Unlike most pedals which drain batteries quickly, an alkaline battery will last 20 hours. However, this entirely depends on frequency of usage. If you’re a beginner you’ll like the versatility of this unit. 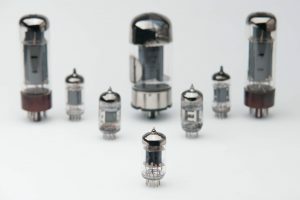 For a single pedal it produces many sounding effects, in fact, 80 different effect types. Apart from selecting and editing on board effects, this pedal allows you to use five of them simultaneously. The reviews are in: So, which one impresses you more? All our recommendations have impressive features and functionality. If we were to pick one, we’d go with the KOKKO Acoustic Guitar Knob. First off, it’s well built and is designed to last long. Also, it’s easy to use. The unit is highly versatile and can be used with a wide number of instruments which is convenient. Above all, we like that it operates quietly and isn’t as noisy as other pedals. Plus it comes at an affordable price. It’s compact enough to carry to all those live gigs. Overall, we think it’ll work for a beginner because it ticks all the right boxes where performance is concerned. Would we recommend it to a friend? Absolutely.